Local governments offer billions in incentives to attract businesses like Amazon. Does that practice pay off? Tax incentives given to businesses now total $80 billion a year—triple the amount in 1990. These inducements come in the form of income tax credits and exemptions, property tax abatements, land grants, low-interest loans, cash giveaways, and other free services. Major corporations have come to expect generous incentive packages for opening or moving offices or plants, spawning an industry of consultants dedicated to negotiating lucrative offers from local governments. For the largest, highest-profile companies, no negotiation is necessary. After encouraging a nationwide bidding war for its second headquarters, Amazon received proposals from 200 cities. To locate the headquarters in Newark, one of the 20 finalists, New Jersey has offered Amazon up to $7 billion in tax breaks—more than the $5 billion the company plans to spend on the project itself. What’s the benefit to communities? Incentives are premised on the idea that businesses will hire workers and grow the local economy. 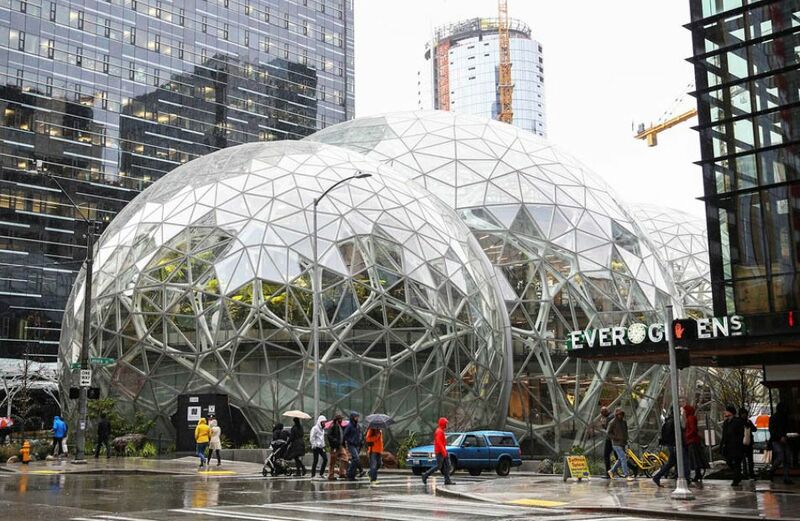 Amazon, for example, has promised to hire 50,000 workers at an average salary of $100,000 per year at its new headquarters—a prospect that has nearly every small and large city salivating. Economist Enrico Moretti of the University of California, Berkeley estimates that the “spillover” effects could lead to as many as 300,000 new jobs over the next two decades by attracting other technology firms as well as a host of other businesses to service the needs of an affluent workforce. “This definitely beats other deals I have seen, to be sure,” says Moretti. “It would certainly increase the attractiveness of that city for other well-paying high-tech jobs.” Amazon, however, is not typical. Economists say that most of the time, the incentives are counterproductive—a zero-sum game in which jobs created in one community come at the expense of jobs lost somewhere else. The real winners are companies, which are able to play municipalities against one another so as to be freed of paying taxes other businesses (and homeowners) do. The result is a “race to the bottom,” leaving cities with less to spend on infrastructure improvements and public education. At the same time, companies increase expenses for communities by drawing on public resources, including sewer systems, roads, power lines, and schooling for workers’ children. Last year, Wisconsin pledged $3 billion in incentives to electronics manufacturer Foxconn to build a plant in Racine County that the company says will eventually employ 13,000 workers. But according to Wisconsin’s own estimates, the cost to taxpayers per job created is $230,700, and the state won’t recoup its investment until 2043. Opponents of incentives have long advocated for a federal law banning them, but that seems unlikely to happen. In a rare exception, counties within Ohio and Colorado have agreed to stop competing with one another on incentives. But such agreements are difficult to work out. Leaders in the Kansas City area have tried in vain for years to defuse a “border war” along the Kansas-Missouri state line in which both states spend heavily to lure businesses from each other. Since 2009, 6,000 jobs have moved from Missouri to Kansas, while 5,500 jobs have moved from Kansas to Missouri, at the combined cost of $321 million in lost tax revenue.